There are a million fitness “gurus” out there thanks to social media platforms like Youtube. Most of them present different workouts and encourage you to follow along quickly, but seldom do they break down the posture and alignment of the exercise or explain what the exercise is for. They also don’t mention that certain people with certain injuries shouldn’t do specific exercises or suggest modifications based upon those injuries. Fitness is super important, but it’s equally important to exercise correctly or you can do yourself more harm than good. In order to do things correctly, it’s wise to seek out the guidance of those who have worked in the industry for a long time and really understand the mechanics of the body. Equally, since the point of this fitness is to complement your climbing routines, you also need to find someone who understands which muscles are neglected during your climbing workouts and create workouts to focus on the other muscles that need attention. I linked up with Gina Hoag, a woman who has been a personal trainer for over 20 years, as well as a climber for 24 years. She was a bodybuilder, a marathon runner, a trad climbing guide and a cert 2 snowboard instructor. For years she was a dancer and has dabbled in yoga and Pilates since her youth. Gina recently relocated to Louisville, Colorado where she is teaching core classes and adult climbing training programs at Evo Rock + Fitness as well as personal training for a gym in Boulder. When Gina works with clients, she assesses their goals, current level of fitness, impairments, and flexibility. 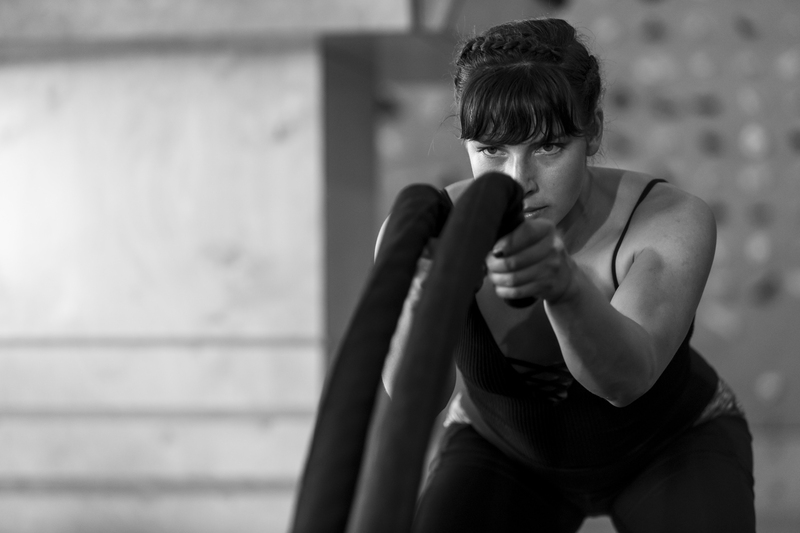 Her workout plans are catered to the person she works with and she infuses her knowledge of all things athletic to great versatile plans that are beneficial. Her interest in exercise science has always complemented her climbing and at nearly 60 years old, she is still improving at her climbing level and exercising 5-6 days per week, 4-6 of which are predominately climbing— you would also think she was 40 if you met her. When you notice the average strong climber’s posture, they seem to nearly have a hunch back; their upper back muscles are overdeveloped and their legs are thin and lacking in muscle. These imbalances can and will lead to injuries- often times in the knees- which has been evident in many of the professional climbers the past few years. Climbing is hard on the body so it’s important to have an overall fitness level so your muscles are proportionate. Why do you feel like it’s important to work out in a variety of ways? The human body adapts quickly to the physical demands placed upon it by exercise. For example: you’re a runner and you run a flat 5-mile loop at an 8 min/mile pace 4 days/week, you improve your cardiovascular conditioning quickly but otherwise you adapt to that stress and your body no longer feels the challenge. We call that the “training effect.” If you add an interval day to your workout, dropping the mileage on that day but increasing the speed, you suddenly feel challenged! You fatigued quicker, your heart rate is much higher, your respiration is faster. What’s happening? You’re doing something different and your body knows it. Even though it’s still running, you’ve changed the intensity of the run. This applies to all sports; biking, climbing, swimming, running, take your pick. I used running as an example because so many people run. What muscles or other things is climbing not able to work that you need to work in other ways? Sports require the body to use specific large muscles for movement, and smaller muscles for stabilization. Depending on the sport, and the frequency of training, muscle imbalances will develop. Climbing relies heavily on large muscles in the upper body (lats, biceps, triceps, delts), hence the lower body (quadriceps, gluteals, calves) core, and shoulder stabilizers are often ignored in training. What are the most common climbing injuries? Could any of these be prevented from conditioning the body properly with cross training? Cross training and doing corrective exercises reduce the risk of injury. In addition, getting adequate rest between hard climbing/training days, proper diet and hydration allows the body to re-build tissue allowing you to get stronger. There is no program that will prevent injury. Finger pulleys tear, hamstrings get strained from overuse. This doesn’t count the risk from falling and spraining an ankle, etc. What are some of the most important ways to cross train for Climbing and why? I like core training, yoga, hiking and lower body strength training for climbers. All of these address the weaknesses and imbalances common in climbers. Some of the exercises for the core include planks, side planks, and bridges which require you to maintain a stable spine in a neutral position. Yoga emphasizes a “long spine” with attention to engaging core muscles and maintaining good form. Hiking provides light to vigorous cardio endurance and fresh air. Some of my favorite lower body strengthening exercises include high rep/low resistance squats, single leg squats, walking lunges, plies, wall squats, and step ups. What are common mistakes climbers make when trying to exercise antagonist muscles? I often see climbers doing sets of push-ups to “cross train.” Push-ups rely on the pectorals, triceps and anterior deltoids as prime movers. Basically, if you are a climber, you always work both the lats and the pecs, each take turns being agonist and antagonist. So, push-ups should not be thought of as cross training for climbing. Notice that many climbers stand with a very rounded upper back and shoulder position and forward head position. This postural configuration is the result of muscle imbalances caused by overly tight internal shoulder rotator muscles and pectoral muscles, and weak muscles in the mid and upper back (rhomboids, upper traps, etc). Push-ups actually exacerbate this imbalance unless the weak muscles in the back are addressed with corrective exercises. Another mistake is the emphasis on “crunches” to strength abs vs. focusing on deep abdominals that act to stabilize the spine. Many of the exercises done in Pilates, for example, target the deep spine stabilizers. What are common mistakes climbers make in relation to training for Climbing? Every climber is different. Too often climbers have a “one-size fits all” mentality. No two bodies move in the same way. Some climbers inherently have tight hips, some have longer fingers which can contribute to pulley problems, some have naturally loose ligaments in their shoulders which result in other structures taking on the role of stabilization. The best thing is to be evaluated by an expert. Find out what the imbalances are, the strength and weaknesses and go from there. 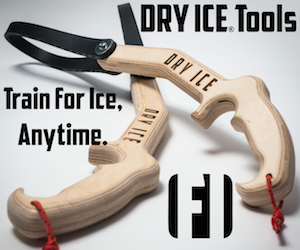 For climbers who only belong to a climbing gym that doesn’t have a fitness center, what are simple things they could buy to use at home or in an open part of their climbing gym and what would they do with those things? Again, we are all different. It all depends on the individual climber, how they are built, how they move, etc. There are several inexpensive, portable pieces of equipment I would recommend having in your home/travel workout kit: the TRX strap is great for doing pushing and pulling exercises; a Swiss ball can be used for stretching as well as a number of exercises like the jackknife, bridging and hamstring curls; a resistance band or stretch cord is a versatile piece of equipment and so lightweight you can put it in your suitcase and take it anywhere. Like the TRX it can be used for pushing and pulling exercises as well as standing core stabilization exercises like the Pallof Press. Most people think of the core as the “abs,” and when most think of the abs they think of the muscles you see on a lean person known as “the six pack.” Those are the rectus abdominus which are definitely part of the core, but there is so much more to the core. The internal and external obliques, the transverse abdominus, the quadratus lumborum (aka the QL), the pelvic floor muscles, the gluts, hip flexors, I could go on an on. Basically, the “core” muscles are all the muscles that attach to the pelvis and lower back. Most people think that if they do lots of “crunches” or “sit-ups” they’ve worked the core. Not! Cross-training regardless of the sport is imperative to help reduce the risk of sustaining an injury. Climbing is no different, make sure to take the time to understand what your body needs and how it reacts to changes in your training routine. When you incorporate the proper cross-training exercises that your body needs into your workout your overall climbing ability, muscles and health will thank you! Stay tuned for the next part of our Well Rounded Climber Series on the importance of Recovery.